Dr. Bomberg offers the full range of arthroscopic and open knee surgery. 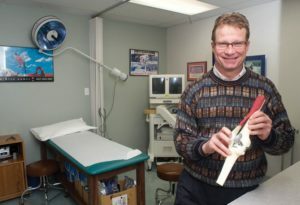 Special training has kept him up on the latest advances in Sports Medicine, arthroscopic surgery and knee replacement. Not all knees need surgery and the ability to provide a full range of services including viscosupplementation, bracing, and therapeutic exercises to solve knee problems is a specialty. Dr. Bomberg was the first in the Colorado Yampa Valley and Grand County to perform partial knee replacements. 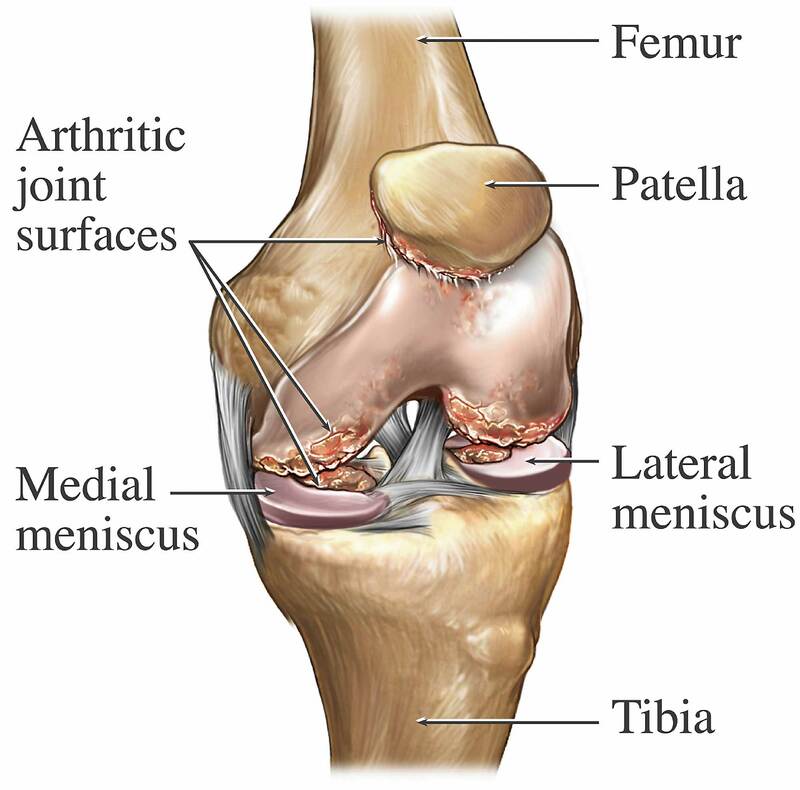 These can be performed for one compartment disease of the patellofemoral joint (kneecap), medial (inner) or lateral (outer) compartment of the knee. These can be knee preserving procedures for the knee and prolong the life of the uninvolved aspects of the knee. When the knee condition or time comes for a total knee replacement he uses the most advanced prosthesis available. This is a high flexion (bend) rotating platform knee replacement with an excellent return of function and longevity o f the replacement. Long experience also allows performance of revision knee replacement in a local setting. With the new Total Joint Program of the Yampa Valley Medical Center the best joint replacement experience is available. 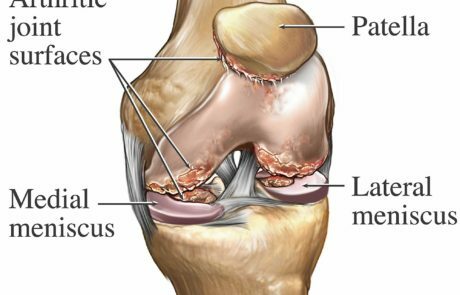 In the field of Sports Medicine surgery, there is a rapid evolution of procedures for ligament, meniscus and cartilage preservation and repair. Dr. Bomberg trained with Dr. Fu on his double bundle anatomic anterior cruciate ligament (ACL) procedure. This has evolved into a more anatomic ACL and is proud to offer this to his patients. He is expert in use of allograft or autograft ACLs for his patients. 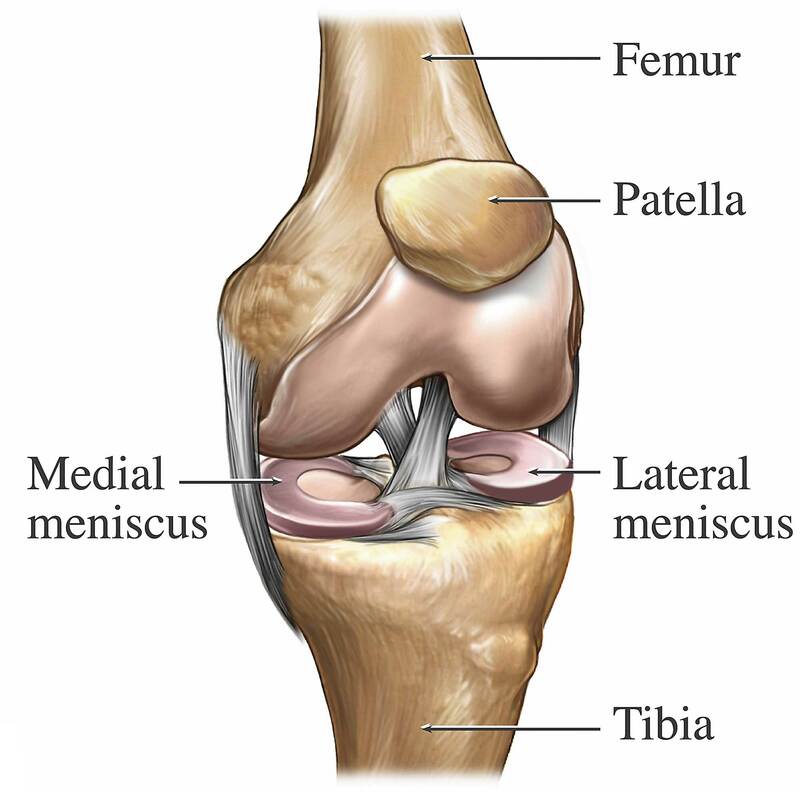 The anatomic ACL procedure is the best for accurate reconstruction of the complicated ACL ligament. 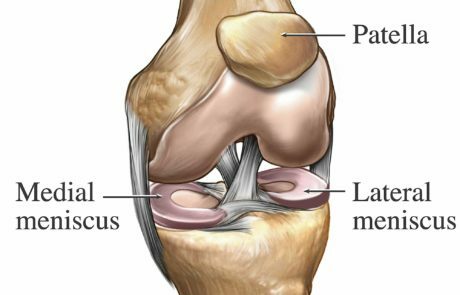 The hope is that more anatomic ACL reconstruction will allow for the prevention of long-term arthritis in the ACL-injured patient. Cartilage procedures include autologous (your own) cartilage reimplantation. 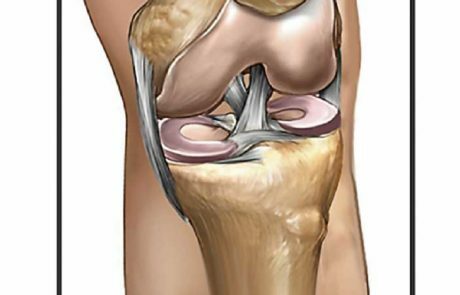 This is a procedure where small amounts of cartilage is taken from the knee and in a lab the cells are grown allowing us to restore the cartilage of your the knee. This can restore the normal joint in the right conditions. Dr. Bomberg recently got the opportunity to travel to Panama with Operation Walk, Denver chapter. There the team of surgeons, nurses, technicians, anesthesiologists, and physical therapists performed over 60 knee and hip replacements in their week long mission. The patients were often severely affected and had no ability to get this type of surgery. For more information on Operation Walk or to help with their mission please see their facebook page.